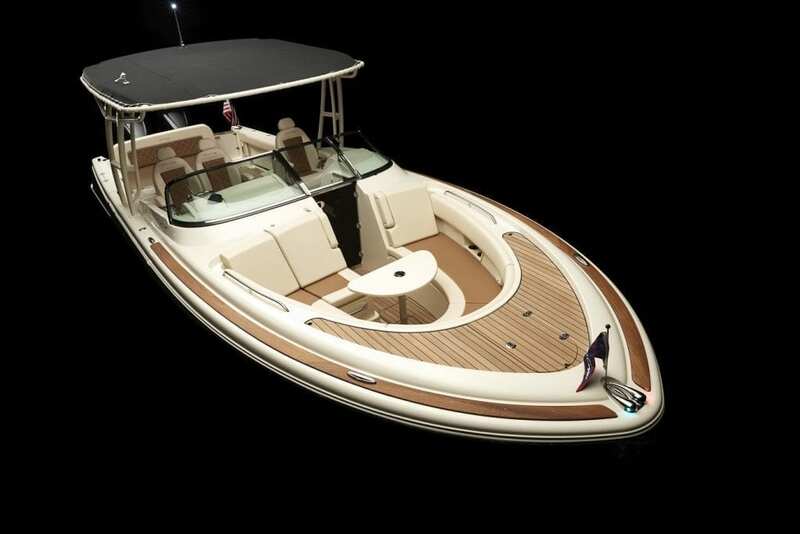 Chris-Craft Balearics, the official distributor of the highly respected Chris-Craft range of luxury sports boats in Mallorca, Ibiza and Menorca has just launched the superb Calypso 30. 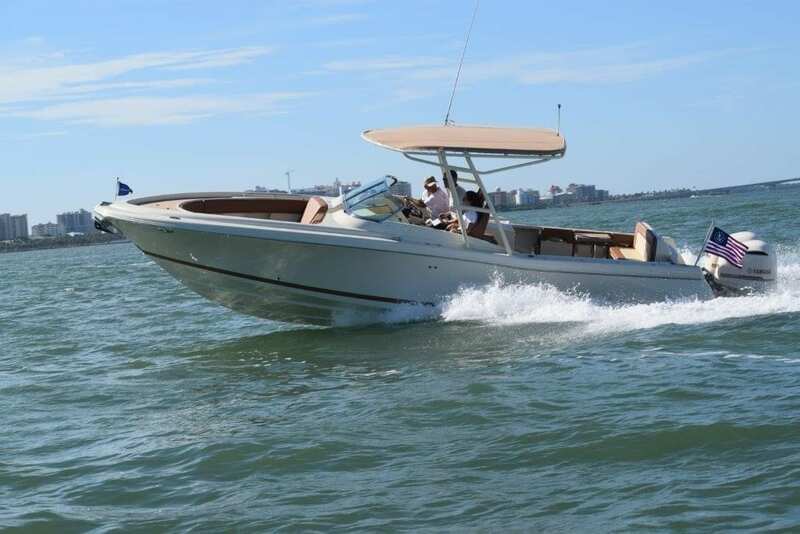 With the same deep V hull as the popular Chris-Craft Catalina Sportfisher, the sea keeping qualities of the Calypso 30 are outstanding, providing exhilarating performance and superb handling which make this boat a joy to helm and fun to own. 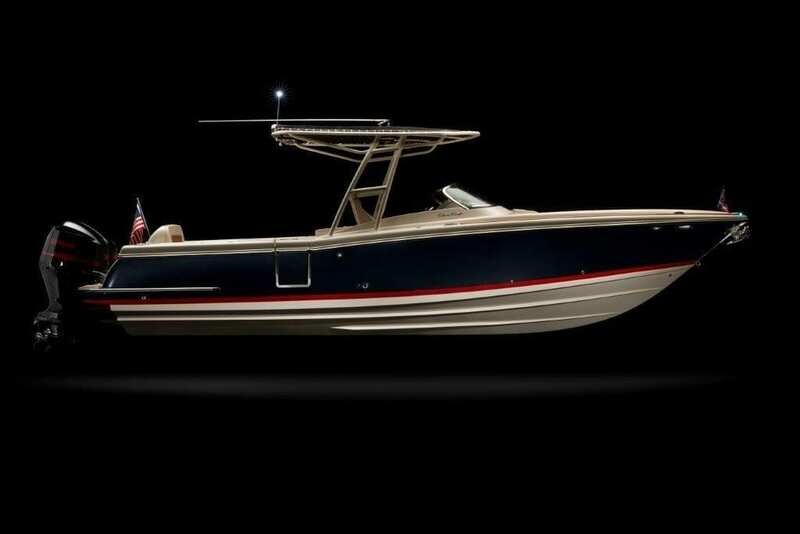 The sleek styling of the Calypso 30 is similar to that of the stunning Chris-Craft Corsair, making this an eye catching sports-boat for any boat owner that values quality and performance to the highest standards. At 9.3m in length, with a beam of 3.1m, the Calypso 30 has space for entertaining up to 12 guests in comfort. 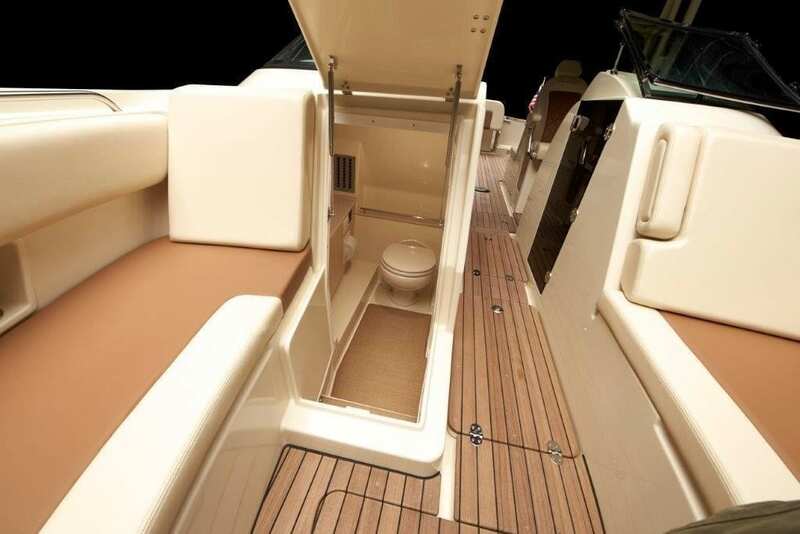 The spacious layout has a number of exceptional features including a heads compartment accessed from the bow area which has an electric flush WC, wash basin and storage. 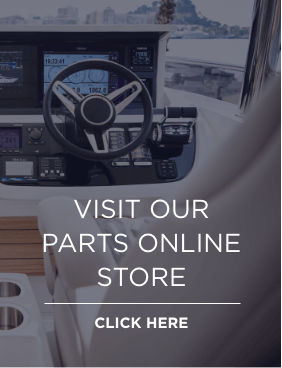 Removable tables in the bow and aft deck areas provide great relaxing areas, while the full wraparound windscreen and a dual console helm ensure comfort and protection for the driver & passengers. 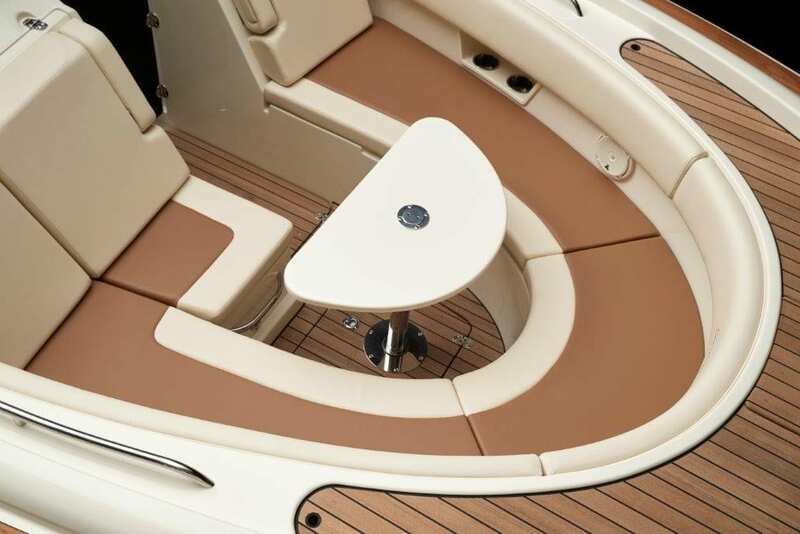 The interior has been designed to offer a luxurious space for day-boaters and families alike. There is a swimming platform at the stern, and a convenient side door with steps, which gives easy access away from the outboard engines. 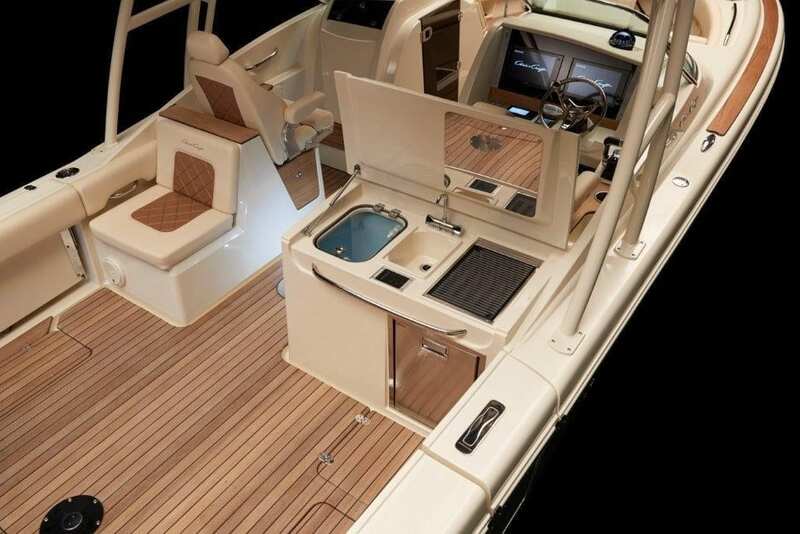 High quality teak decking and superb fittings are a hall mark of the Chris-Craft fleet and are in abundance on the Calypso 30 ensuring ease of maintenance and long term good looks. 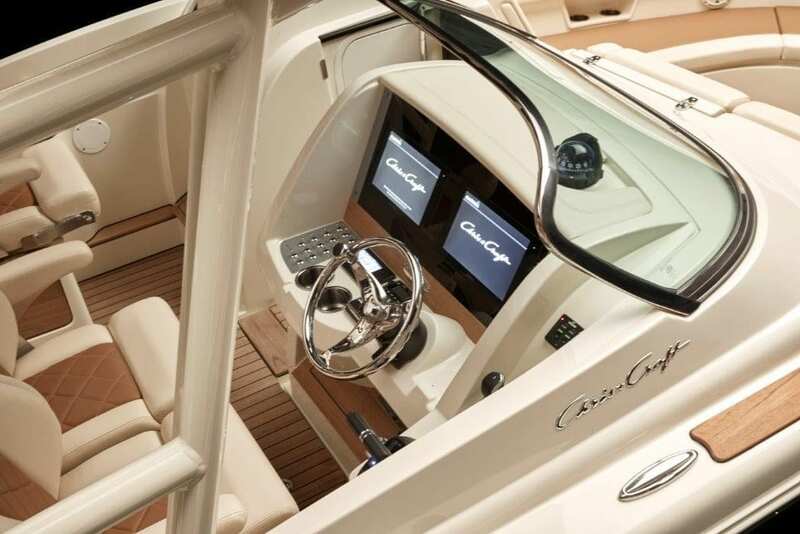 The Calypso 30 represents a perfect fusion of style and substance offering the stunning looks of the Corsair range with the space and practicality provided by an outboard drive system. Chris-Craft Balearics is a sister company of Princess Motor Yacht Sales and therefore provides the same exceptional aftersales care and service for which Princess Motor Yacht Sales has built an enviable reputation over many years, to become the world’s number one distributor of Princess Motor Yachts.